Chris Golden // About - "For a few individuals making music comes as naturally as breathing. 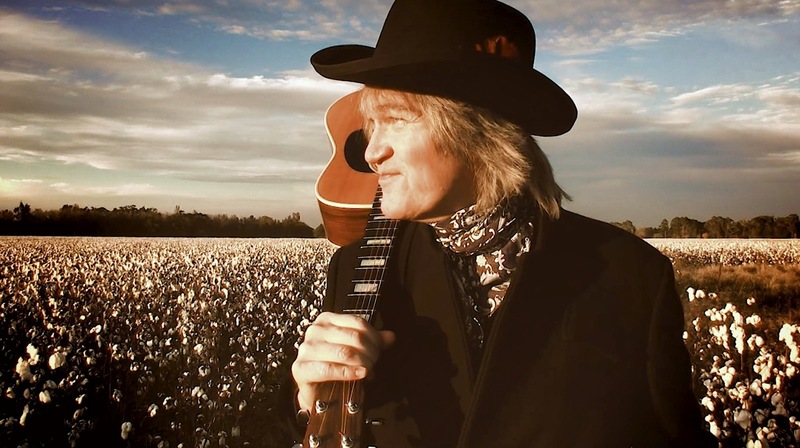 Chris Golden is one of those gifted souls"
"Playing for The One who gave me the gift"
Among the accomplishments of Chris Golden is that he has played with three of the longest running bands in country music: the Oak Ridge Boys, Alabama, and Restless Heart. He also has mastered the ability to play an incredible number of instruments. On Golden’s past albums, he has played drums, piano, acoustic guitar, mandolin, electric guitar, organ, harmonica, and bass guitar. Golden expresses how blessed he feels to be successful in the music industry. In 2017, he was given the opportunity to perform for every living U.S. President, and was able to meet five of them. He has sung at the Ryman Auditorium and Opry House. This talented singer’s mantle holds many awards. Among them are awards for Country Gospel Artist of the Year, Male Vocalist of the Year, and Crossover Artist of the Year awards from various Christian music organizations, and Golden is even a GMA Hall of Fame Inductee for his tenure with the Oaks. Amidst all of that, Chris has had two No. 1 songs and three other top five songs on the charts. "Music is my life, my love, and my gift"
Just how did Chris Golden become so multi-talented and saturated in Christian country music? Not only was music a resounding theme for The Goldens, Chris also was brought up in an environment of spiritual significance. His grandmother, Rutha Mae Golden, is given acknowledgement for her authority in his growth as a Christian. Chris was called to give his heart to the Lord around age 13 at a revival in south Alabama. He recalls that the pastor, Brother G.W. Birdsong, was preaching when he went down to the altar. As many adults sometimes do, Chris strayed from God’s path along his journey. However, Chris knew that God always had his hand on him. “I re-dedicated my life and faith in 1997. I was 45 when I got baptized. Although I do not consider myself a minister, I have seen firsthand the power of a song minister to people. “That being the case, I have known from a very young age that music came very easy and natural to me. It is my gift, and I know where it came from. I am a musician, singer and entertainer, not an evangelist, and I am aware there is a fine line when we sing, to not make it about ourselves, but about the one we are singing about. “I do try my best to shine the light with songs and stories. I am not a preacher but I do hope people get the message. In 2011, Chris stepped back in the spotlight as a television host, filming 13 episodes before a live audience for a web based series called Late Night Nashville with Chris Golden, and continues to host his annual Family and Friends concerts. "Music is my life, my gift, and my love"
However it's his recent solo work that best showcases Golden's gifts. He has released seven critically acclaimed solo projects including CenterStage, which garnered rave reviews from Billboard magazine, and his first gospel offering Sunday Shoes which was named Power Source Magazine's 'Album of the Month.' Next came Shoebox , released in the Fall of 2013 with the title video in rotation on ZUUS Country Network featured as 'Breakout Artist of the Week" and appearing in the TOP 10 Countdown. In 2015, Chris garnered his first number one song in CASHBOX Magazine with 'A Different Light' and was named 2016 'Crossover Artist of the Year" by both Christian Voice Magazine and the ICGMA. 2017 brought another #1 with On The Sunny Banks, 'Entertainer of the Year' from the ICGMA and a new album, Less of Me. Filling In on drums with supergroup Alabama performing for every living US President. 2018, Chris found himself on the charts once again with Less of Me claiming the top spot on three different charts, appearances on TBN's Huckabee Show, The Opry House, Dollywood, and a tour in Israel. The new single and video Grateful was released in late October and is already garnering rave reviews. He and his children Elizabeth, Rebekah, and Elijah live near Nashville. Many a man has journeyed thousands of miles only to ﬁnd he’s happiest at home. So it is for Chris Golden whose multi-faceted history – including stints in rock bands, a brief membership in The Flying Burrito Brothers and a longstanding job as a drummer for country band The Oak Ridge Boys – has taken him down a multitude of sonic side roads. On Sunday Shoes, Golden makes a full-circle return to gospel music, the sound that remains his home base. The two-tone leather soles and shoeshine service on the album jacket say it all: He’s mining the genre in style with music that’s sure-footed, sturdy and built for the long haul. In the course of a dozen songs, he retraces many of the key ﬁgurative steps in a life’s journey. The travel references are obvious in the title track, “Gospel Road” and “Wide River To Cross.” They’re more subtle in the restless train imagery of “God Knows What” and “I Want To Thank You,” a tribute to people met along the pathway. And travel is referenced obliquely in the “Sweet Bye And Bye,” a classic hymn often associated with the body’s ﬁnal destination. Appropriate for an album loaded with travel themes, he recorded the bulk of the project on the road with The Oak Ridge Boys, cutting the drums and piano through the soundboard at concert halls, layering the guitars and mandolins in hotel rooms and dressing rooms, and adding the background vocals in a spare bedroom at his home in Middle Tennessee. Sunday Shoes is loaded with meaningful guest appearances. Bluegrass stalwart Ronnie McCoury plays mandolin on “Higher Power”; vocalists Chris and Darrell Freeman, of the Pentecostal group The Freemans, check in on “A Different Light”; Ben Isaacs on upright bass; and Greg Gordon – who’s sang with The Rambos, The Imperials, and on the Elvis Tour – provides key harmonies. And there’s a strong family component, too. Brother Rusty Golden, a former bandmate in The Boys Band and The Goldens, wrote four songs and adds background vocals. Chris’ precocious 14-year-old daughter, Elizabeth, makes an appearance on ﬁddle. And his dad, The Oaks’ William Lee Golden, joins aunt Lanette Lowery in the chorus of the closing song. Yet much of the album is purely Chris. He delivers the songs with an unmistakable clarity and a subtle passion. And he played the bulk of the instruments himself, meticulously building the tracks with the same sort of single-minded vision that many of his heroes – including Stevie Wonder, Paul McCartney, John Fogerty and Dan Fogelberg – used in constructing their classic works. Creating sound has come naturally to Golden. Self-described as a “backstage baby,” he was born just two years before his father became a member of The Oak Ridge Boys. He never took music lessons, instead learning the drums, piano and guitar simply by hearing songs and playing them back. At 15, he began touring on the Southern gospel circuit as a piano player with a group called The Telestials, and the week he graduated high school, Golden began touring as the drummer for The Boys Band, which earned a minor national hit with “Don’t Stop Me Baby (I’m On Fire).” He also appeared on the country charts numerous times in a couple of incarnations – ﬁrst with the band Cedar Creek, then with brother Rusty in the duo The Goldens. In 1995, he stepped into The Oaks’ organization – initially as a journey-man musician, playing guitar, mandolin, harmonica, keyboard or drums, depending on the setting. In 1998, he became the band’s fulltime drummer. 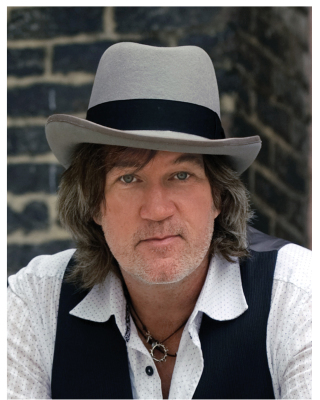 Along the way, he’s fashioned four solo albums, grounded primarily in country. All the while, an unwavering desire to mold an album around his gospel roots continued to gnaw at Golden’s psyche. When he sang a couple demos of songs Rusty had written, “Gospel Road” and “I Want To Thank You,” Chris knew it was time to dig in. Worked out in steps between concert dates with The Oaks and his responsibilities at home, the album found its title track at a concert in Paducah, Kentucky, when Chris told songwriter Dianne Wilkinson how his mother used to refer to his gift for gospel as his “Sundie shoes.” Wilkinson literally wrote the song in her seat while she watched him perform. The album collects additional material from the likes of Billy Joe and Eddie Shaver, The Louvin Brothers and Buddy & Julie Miller. It took two years to complete, and even at the end, Sunday Shoes needed one more inspirational title to give one extra ounce of energy to the project. 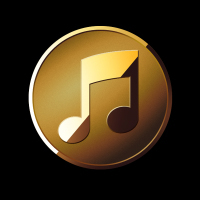 That song appeared when Golden loaded a bundle of old songs onto his iPod. The Oaks had recorded “When He Set Me Free” for an acoustic Warner Bros. album in the early 1960’s, Folk Minded Spirituals For Spiritual Minded Folks, and he turned it into a gospełblues celebration. The track melded Chris Golden’s passion with his family’s legacy, and it serves as the perfect lead-off track. The phrase was a transformative reminder. Golden wrote the phrase on his snare drum with a Sharpie, and it helped him take the ﬁnal steps in his full-circle walk back to his gospel roots. 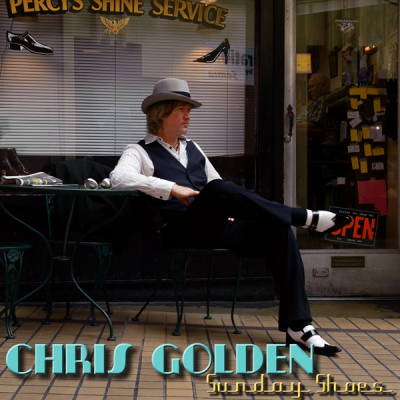 It’s a perfect journey, a trip in his Sunday Shoes back to the sound that gave Chris Golden his eternal musical grounding.